I have had a long love/not-so-much love affair with the Crowes. It extends back to the late 80’s, when they were then-known as Mr. Crowe’s Garden. I saw them at the original Cat’s Cradle in Chapel Hill, NC, opening for Drivin’ & Cryin’. They hadn’t quite made their way to the straight up Stones/Faces amalgamation that you heard a couple years later on “Shake Your Moneymaker”. But you could definitely tell that there was something going on there. A couple of years later, not having heard from the band since that Chapel Hill show, I find myself in Atlanta for the band’s record release party. Rick Rubin was in the house. I was a big Rubin fan back in the day. Just always seemed like anything he produced had an aura of cool about it. And I really liked cool. I never really had a problem conversing with musicians, regardless of how small or large their stature may have been at the time, but I never could bring myself to engage Rubin in conversation. Was afraid I’d look, and sound, stupid. 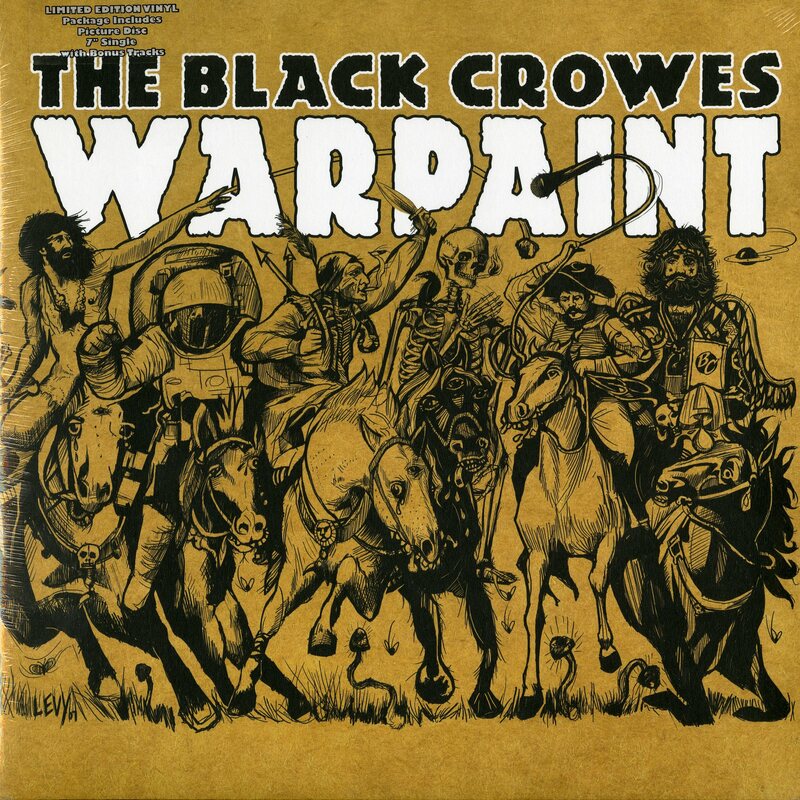 So…Black Crowes. LOVE that first record. Pretty much ditto for the follow-up, “The Southern Harmony And Musical Companion”. Great f’n title to boot. LOVED the cover for “Amorica”. Like the record quite a bit. But the next decade, for me, was truly hit and miss. Mostly miss, as I am not a huge fan of the jam. When the Beatle boots and mod shags were replaced by ponchos and big beards, I just found it tough to hang. (And apparently still do, having left a two-set Chris Robinson show earlier this year before the end of the first set). “Warpaint” was somewhat a return to form. As well as just a return, a seven-year gap between studio records, regrouping with Luther Dickinson on guitar. It as also a return to writing *songs*, rather than loose templates for songs. The jamminess was still there, but it seemed tempered, tolerable. It still wasn’t the same band I fell in love with, but it was a helluva lot closer than, say, “Lions”. Ouch. This is a sealed and fairly limited gatefold picture disc first pressing, with a bonus 7″ of the original “Here Comes The Daylight” backed by a spot-on cover of Joe South’s “Hole In Your Soul”. Jacket is pretty much close to perfect. Super nice, hard-to-find minty Crowes goodness. $50.